Anyone — like The Legal Genealogist — who hoped that the Supreme Court decision last month against Myriad Genetics and its monopoly on BRCA1 and BRCA2 testing for breast cancer would mean easier cheaper access to testing for the many women who need it has gotten a rude awakening in the last two days. The Utah-based Myriad has put the world on notice that it will fight to protect its monopoly. 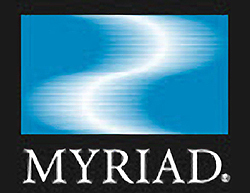 Myriad and its academic and hospital partners have already filed suit in the United States District Court for the District of Utah against two companies that had announced they would provide much less expensive testing to women at risk of having these cancer-causing genes, alleging infringement of other patents not specifically included in the Supreme Court case decided in June. And other suits may be coming. The defendants so far are Ambry Genetics of Aliso Viejo, California, and Gene by Gene of Houston, Texas — parent company to Family Tree DNA, and the civil suit against each one asks not just for damages but that each company be legally barred from conducting the lower-priced tests. The suit against Ambry Genetics was filed Tuesday and against Gene by Gene yesterday. And it’s entirely likely other companies that have announced that they too will offer BRCA1 and BRCA2 testing — such as Quest Diagnostics and GeneDX — will also be targeted in the days to come. Myriad further alleges it owns or is the exclusive licensee of 10 other patents and that the lower-priced tests being offered by Ambry Genetics and Gene by Gene infringe those patents. Ambry Genetics, it alleges, infringes all 10 patents; Gene by Gene, the suit claims, infringes nine of the patents. Both companies — Myriad claims — infringe the patents in ways that weren’t affected by the Supreme Court decision. And these suits raise allegations that the inexpensive tests of the other companies violate Myriad’s still-valid claims under other patents. Both defendant companies have stated in the past that their testing methods do not infringe on the remaining Myriad patents in any way. Ambry Genetics’ chief executive officer Charles Dunlop issued a statement that “Ambry Genetics supports the Supreme Court’s decision and will vigorously defend its position. We have had an overwhelming response from our clients seeking an alternative laboratory to perform BRCA testing, and Ambry is fully committed to supporting our clients and patients moving forward.” Gene by Gene withheld comment since it hadn’t received the papers yet. Sigh… Maybe our genes can’t be patented, but it may take another Supreme Court decision before the Myriad monopoly gets out of the way of reasonably-priced testing. Fascinating distinction between naturally occurring DNA and artificially manipulated DNA. Will the definition of “artificially” stay constant for future genetic treatments or even — as some predict will eventually happen — for altering the DNA of a fetus in the womb, for example to prevent disease. Still the stuff of science fiction, I suppose. As well it should be. These gene patents are (in my opinion) an outrage.